Growing up in west Texas, Luann Baker, was a true country girl. With a ton of free time on her hands, she passed her days by racing up and down the Texas countryside with her friends. Fast forward a few decades later and Baker is no longer living in Texas, she resides in Sloan, a small community that’s located a couple of miles away from the M Resort. But, just because she’s hundred of miles from her hometown doesn’t mean that she has to give up the fun of high-speed driving. Everyone knows that Vegas is the City of Pleasure. After all, “What happens in Vegas, stays in Vegas,” is the city’s motto. 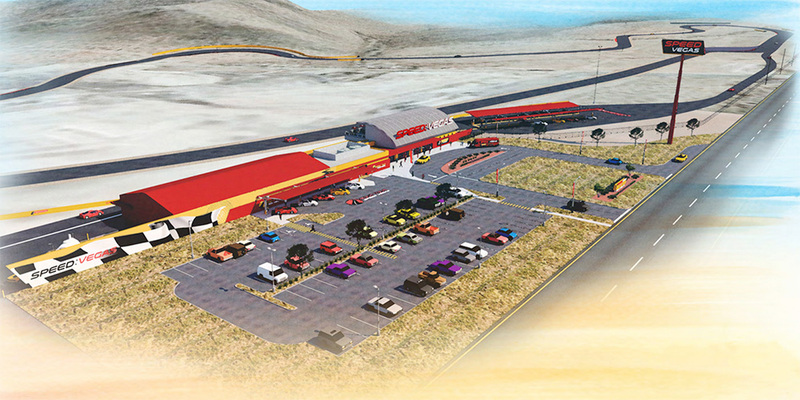 But, now Speed Vegas offers a little more to sweeten the pot for thrill seekers of another variety. Nowadays, visitors to the city are spending less time on the slot machines and card tables and more time enjoying the other activities, like nightclubs, shows, and unique shopping opportunities, that Vegas has to offer. Over 70% of visitors gambled when they visited Vegas last year. Although this number is quite high, this percentage is down from 80% a mere five years ago. Also, almost 30 percent of visitors came from Southern California and almost 100% of them come to the city in their vehicles. This is based on information from GLS Research stated in Las Vegas Convention and Visitors Authority reports. 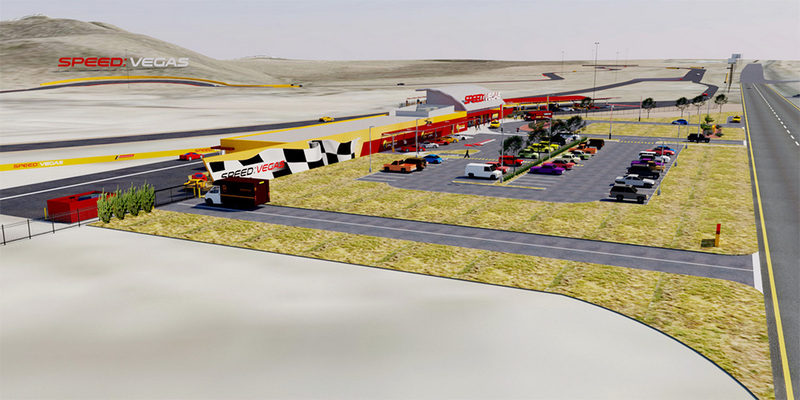 Next spring, Speed Vegas is opening a 1.5 mile racetrack on the corner of Las Vegas Boulevard and Sloan Road. 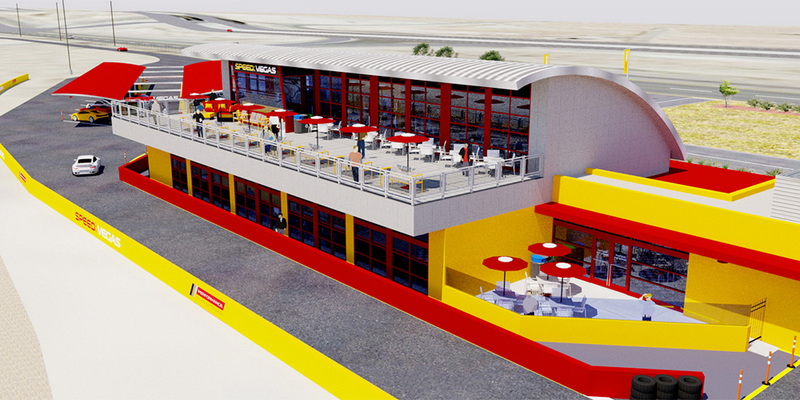 The racetrack is expected to cater to the new Las Vegas tourist niche and is the latest non-gambling attraction in what is considered to be the casino capital of America. 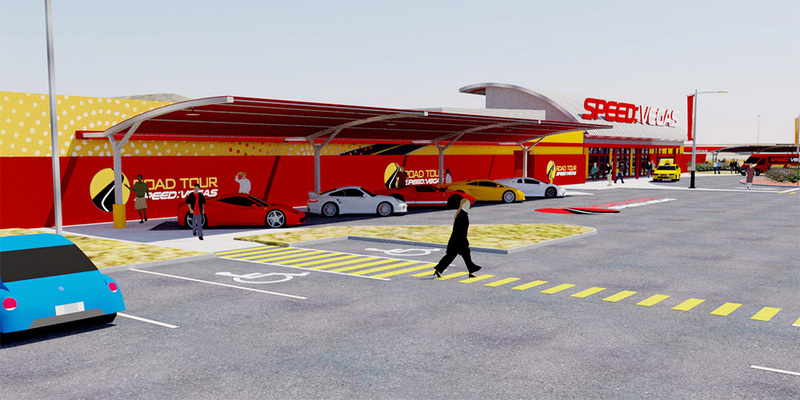 They also expect to attract tourists from Southern California, Las Vegas’ largest feeder market. 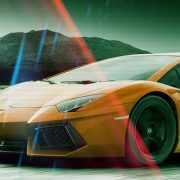 Package 2: This package enables customers to drive five laps in an exotic supercar. 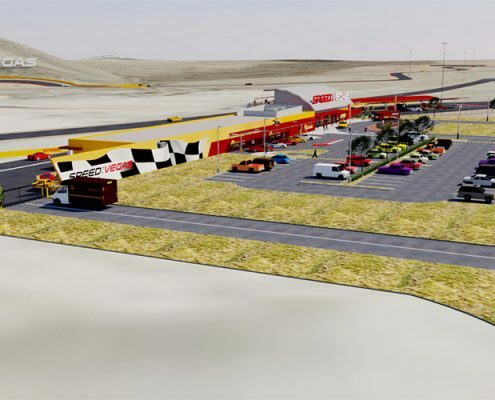 But, it’s important to note that, if this venture is successful, the executives at Speed Vegas may consider adding off-road and stunt tracks for a more diverse experience. Scott Gragon, real estate broker with Colliers International and project partner, purchased the site from casino giant MGM Resorts International two years ago with his partners. This project has an expected $30 million dollar price tag, this includes the purchase price of the 90 acre (100 acre) site. 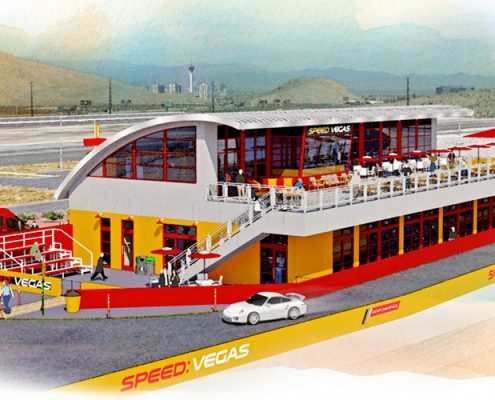 The CEO of Speed Vegas, Aaron Fessler, along with other executives, officially broke ground on the site of the planned racetrack September 21, 2015. 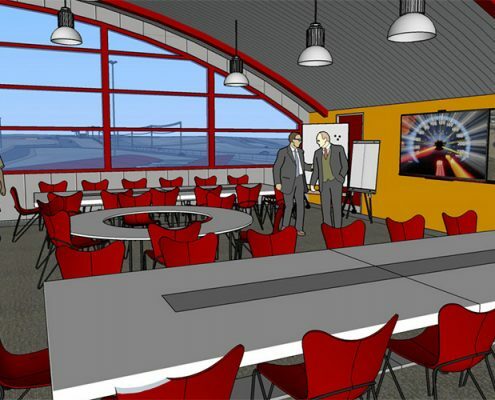 This event marks the beginning of construction on the $30 million motorsports complex which will also feature a huge event center, multilevel welcome center and more. 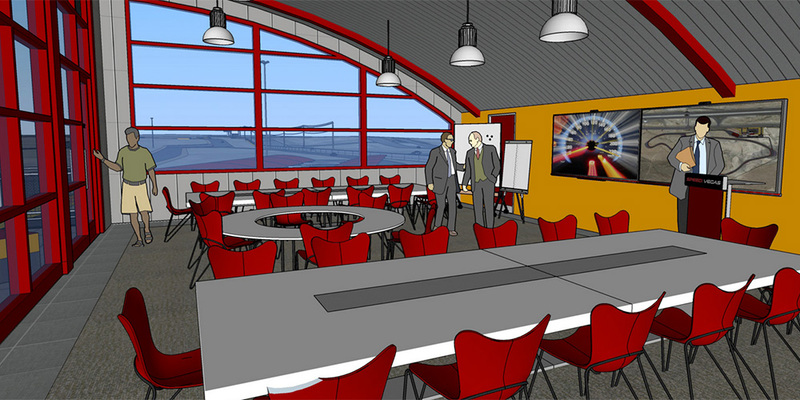 Fessler has plenty of experience launching this type of project. Through his World Class Driving company, he has offered road and track driving excursion in almost 50 cities. 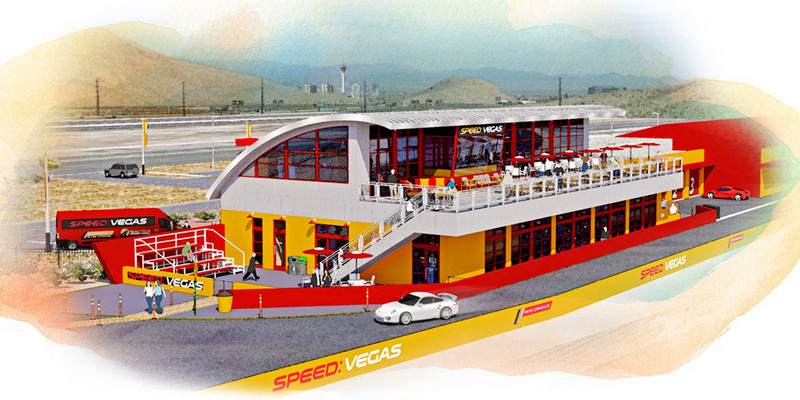 What makes this project different is that Speed Vegas will be his first facility with a permanent site. When tourists come to Vegas, they want a once in a lifetime inexperienced that they will never forget. 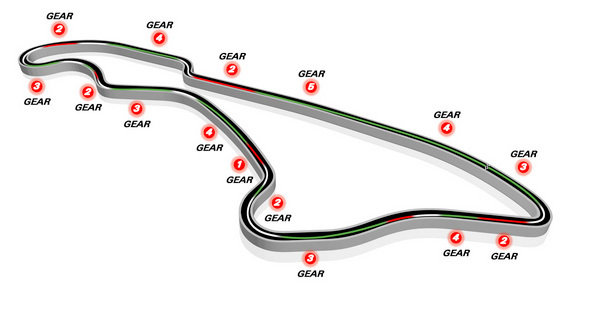 Their racetrack is the perfect destination for adrenaline junkies of all skill levels and ages. 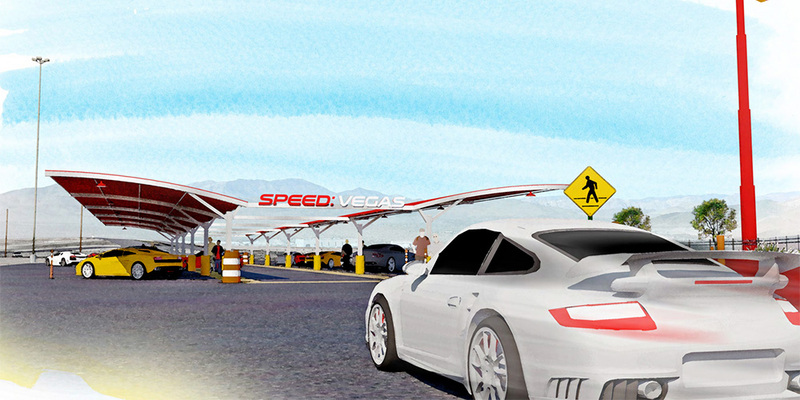 But, it’s not the only place in Vegas where drivers can release their inner speed demon. 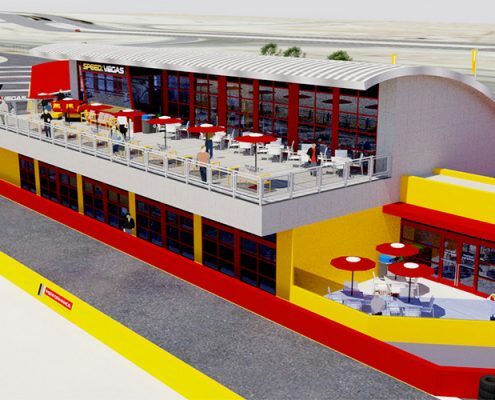 There are several other companies that offer this experience as well, they include the Richard Petty Driving Experience at the Leas Vegas Motor Speedway, Dream Racing, and Exotics Racing. Baker, the country girl from Texas, has lived in the area about about a decade and doesn’t think that the project will affect much, as long as they don’t get too close. She hopes that the upcoming attraction will motivate investors to build other businesses nearby. As it stands right now, quality grocery stores are over 8 miles away. 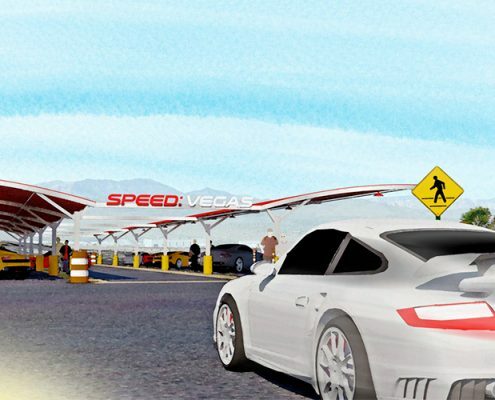 Speed Vegas is a speed complex and super car experience and will make an excellent addition to the city’s growing selection of non-gambling attractions. 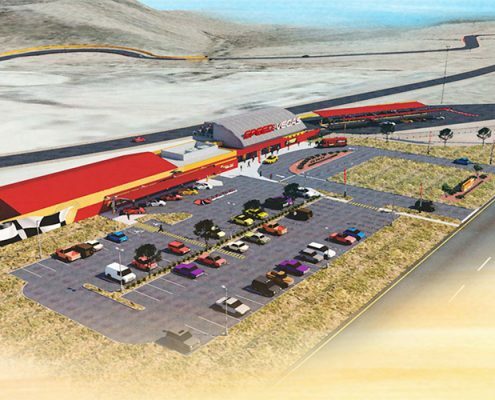 It will be the southernmost major destination in Las Vegas and is located just ten minutes away from the “Welcome to Las Vegas” sign. 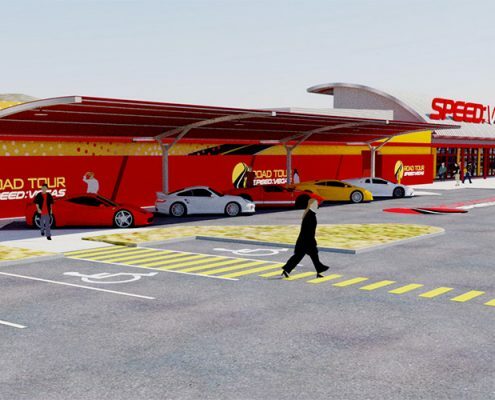 They will offer a comprehensive speed experience complete with simulators, drifting, demonstrations, and the chance to drive some of the most exotic and sought after cars. The attraction is slated to open during the spring of next year but they are already accepting reservations. City VIP Concierge will soon offer one of a kind Las Vegas VIP packages that will include transportation and add ons such as exclusive Gun Range tours on your way back to The Strip and other unique VIP experiences… stay tuned for more details coming soon. Uber and Lyft finally available in Las Vegas Las Vegas Done Right!